We opened our doors in 2013, although our sister shop Antique Rose Gifts.started out life in 2008 as an interior design business, which evolved over the years in to mainly gifts, passing the baton and leaving interior décor and design to Maison Rustic. 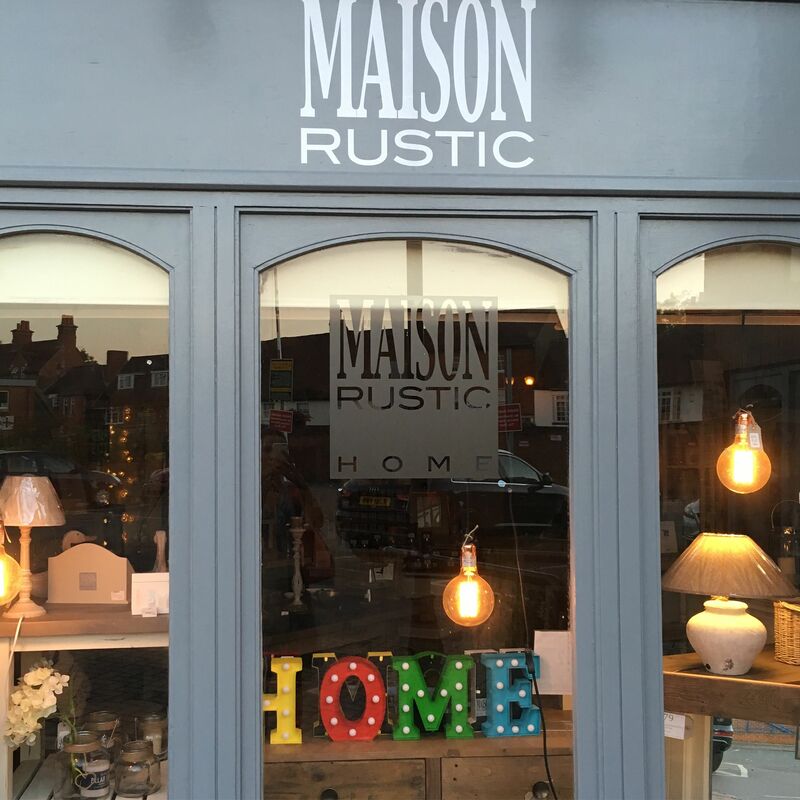 The history of our brand is intertwined with Antique Rose and Georgina Hustler who founded and still runs both shops, as it was her style, expertise, understanding of our customers needs and business acumen that has created Maison Rustic and put it where it is today. A unique blend of fabulous style, extensive choice and unique unusual finds, stepping through our doors you are transported in to a vision of what your home could be, and you don’t want to leave without taking a little piece of that home. 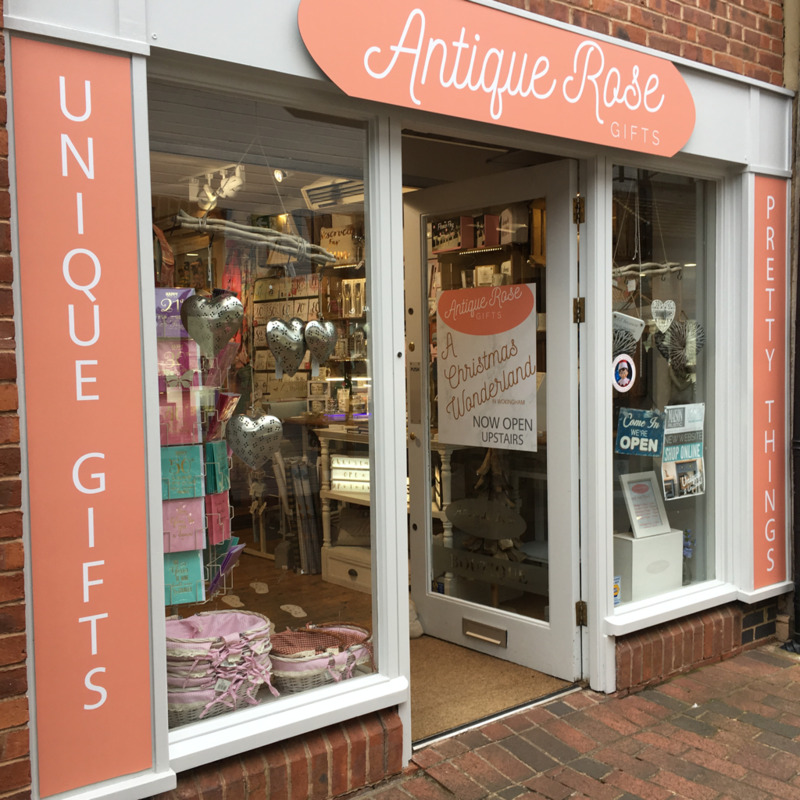 Antique Rose Gifts, our sister shop, is situated next door and is where our story began. Now an independent gift boutique, it originally sold home accessories and gifts, starting life in Georgina’s interior design studio on Rose Street, where she took her love of interiors and Shabby Chic and transitioned it from an interior design business to retail, founding the shop as you see it today in 2010. Originally the upstairs floor was a furniture show room and the overall focus was more on home accessories but over the years the key focus moved to gifts. 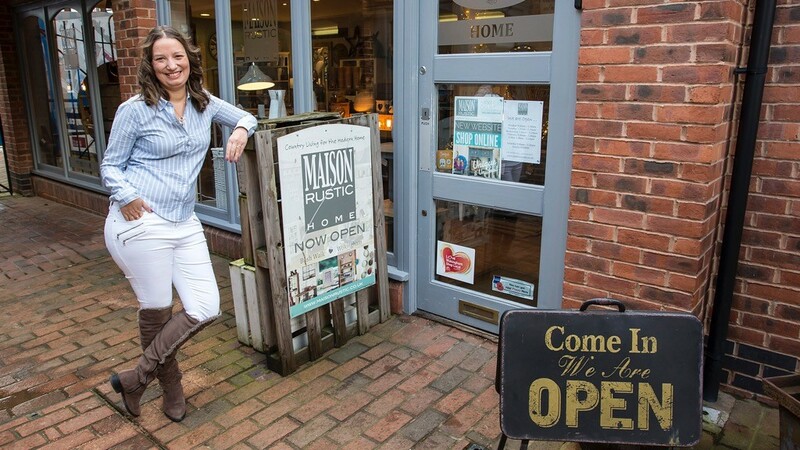 Maison was opened in 2013, to enable us to get back to our roots and Georgina’s original passion for creating beautiful, practical and unique living spaces. When the premises next door to Antique Rose became available in the summer of 2013, she jumped at the chance to create a brand new separate space to showcase the home décor and furniture ranges and create a space dedicated to the new and up-coming rustic look. Our brand was started and is still run and managed by interior designer Georgina Hustler. Her journey to create her unique brand is inspiring ... “I started my career in IT, with a passion for improving systems and helping people, using my analytical degree and skills to design and build computer systems. However, after 10 years, my interest decreased, and I needed something to fulfil my creative side. My friends and family were always telling me I was wasted in IT and should be doing interior design, as they admired the many homes I renovated during my moving and improving stage. Eventually I started training in the evenings studying Interior Design, which I found was something I had a natural flair for and in 2008 I took the plunge and ditched the day job to set up Antique Rose Interiors. For several years I made curtains, designed bathroom layouts and got my hands dirty painting walls and designing rooms for local people who didn’t have the time or inclination to get stuck in themselves. Eventually I realised my true talent came in dressing rooms and picking just the right colours and accessories to make a house a home and combined with my life-long dream to run my own shop I decided to take a change in direction and move in to selling rather than designing. Initially, I tested the waters with just a few pieces available for clients to buy who were already dropping in to my front room/interior design studio on Rose Street, but this quickly grew and expanded in to gifts and all things shabby chic.